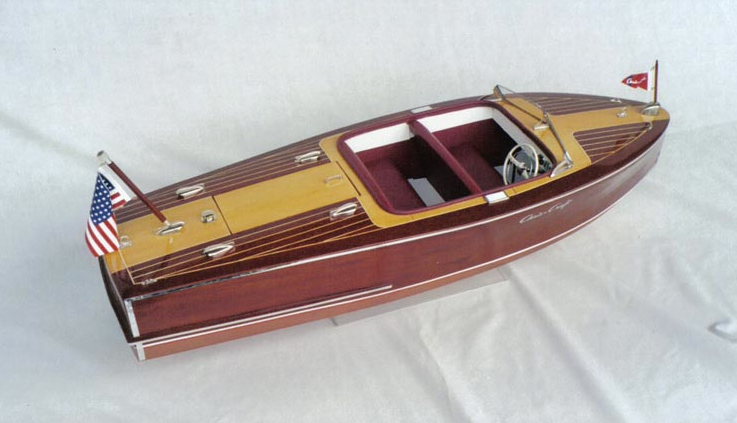 I've recently become interested in these wooden speed boats, often called Runabouts. 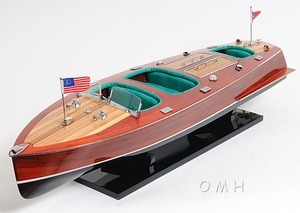 In addition to their beauty, they evoke a sense of a glamorous past (their heydays were the 1920s-1950s). 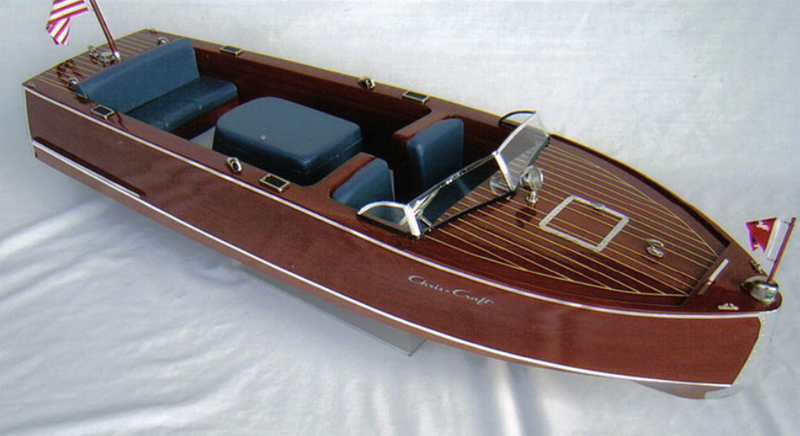 The most well known maker was Chris-Craft, which still exists today. 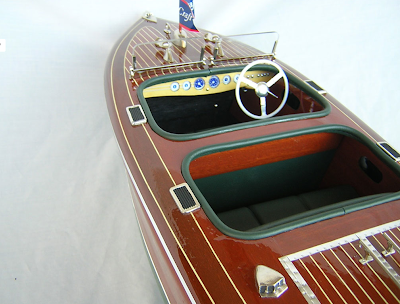 It's website has a history section with great product photos. 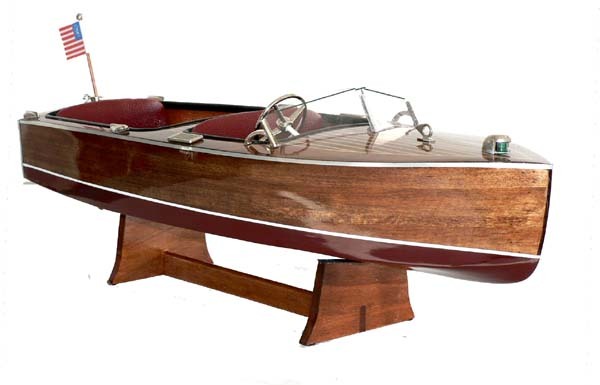 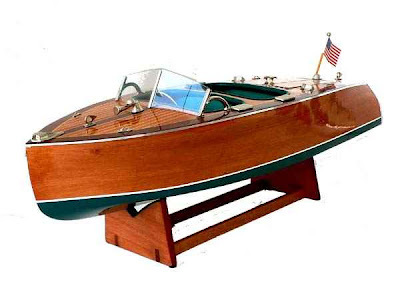 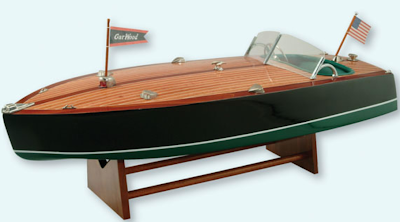 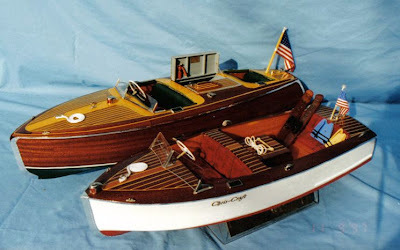 These models are by Bill Norby, of Mahogany Model Boats, and are made in the US. 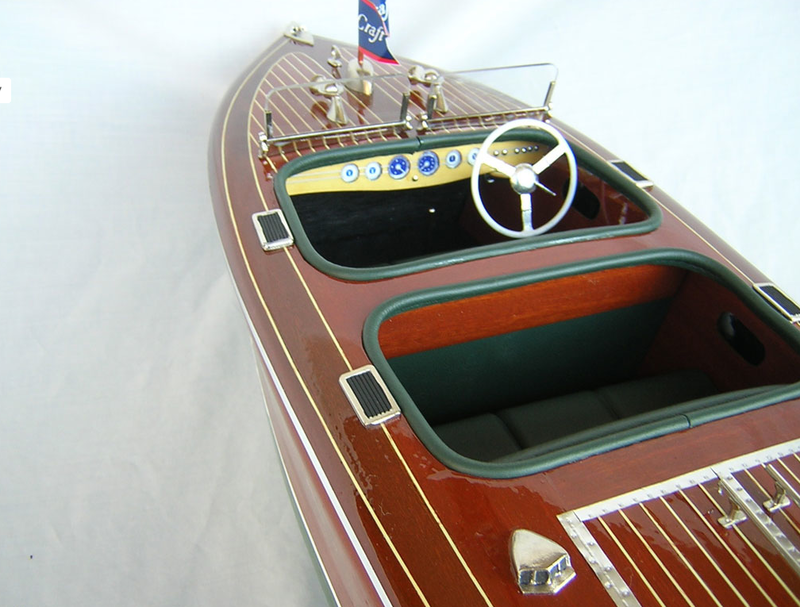 They are hand built and there is meticulous attention to detail. 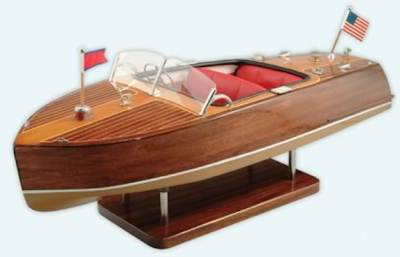 They are priced around $2,500 - $3,000.